The vision of SDK4ED is to minimize the cost, the development time and the complexity of low-energy software development processes, by providing tools for automatic optimization of multiple quality requirements, such as technical debt, energy efficiency, dependability and performance. SDK4ED will develop methods and accompanying software tools capable of parsing software artifacts, (source code, design models, test cases, etc.) and analyzing these items from the perspective of technical debt liability, considering the targeted hardware platform and the provided quality requirements. The corresponding tools will provide reports with deficiencies, ranked by importance and urgency to be resolved, considering the past history of changes of these items and the probability of future maintenance. Beyond the identification of design flaws, energy monitors and tools for the identification of security vulnerabilities will feed the technical debt optimization process. 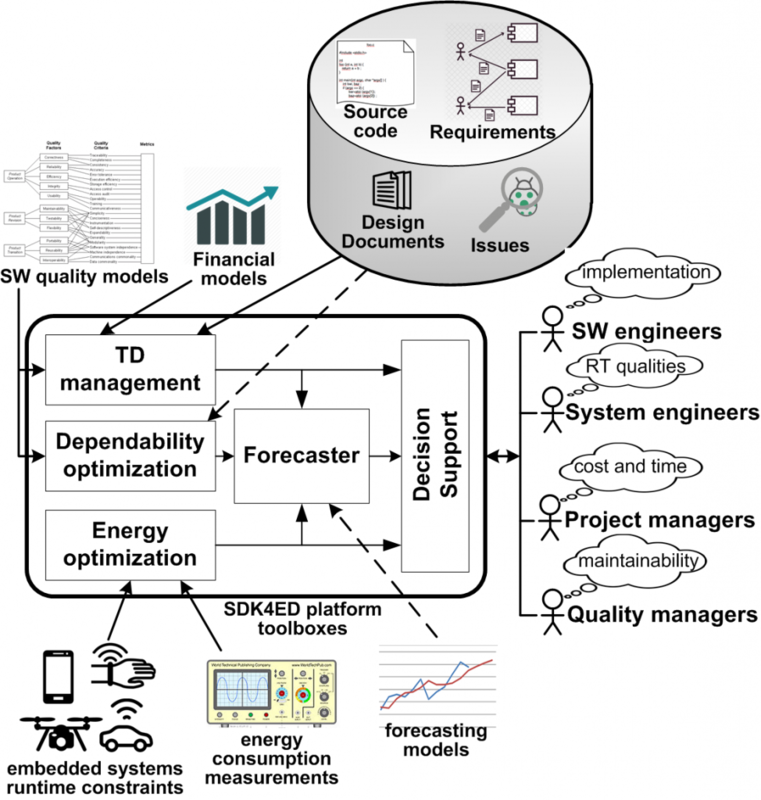 SDK4ED will estimate through innovative techniques, the cost and the limitations associated with technical debt liabilities related to the energy-aware software development lifecycle. Also, it will establish a set of forecasting methods and best practices that will be used by project managers for assessing the available decisions with respect to the choices of repaying technical debt, the selection of appropriate timing and items to be improved, under the constraints imposed on energy consumption and dependability. Considering the trade-off between software quality and run-time constraints on energy consumption and security, the SDK4ED platform aims at deriving Pareto fronts that will assist developers during the system optimization. 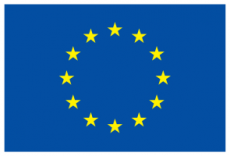 Within the course of the project, three representative use cases from the Airborne, the Healthcare and the Automotive domains will be deployed in real operational environment to assess the impact of the project’s innovations, and showcase the supported operations in a general context of use.